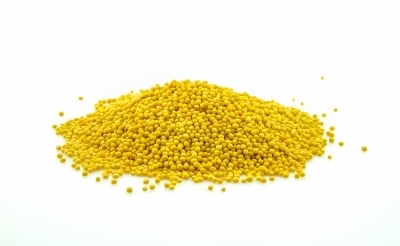 Among the many parables that Jesus told, one was about the mustard seed. He said that it was the "smallest" seed in Matthew 13:32, which atheists and anti-creationists attack by saying that there are other seeds which are smaller, which means to them that Jesus did not know what he was talking about. We expect atheists to find excuses to claim that Jesus is not God, but it is disheartening when owlhoots who claim to be Christian will also claim that he was mistaken in an effort to justify theistic evolution. No, he is the Creator, and knows what he is doing (Col. 1:16, John 1-1-3). As is the case in many instances of confusion and alleged Bible contradictions, context is vitally important. Here, we can look at not only the immediate context, but the greater context. Jesus was not giving a botany lesson, pilgrim. The parable was an illustration about the kingdom of Heaven. He would have used figures of speech. In fact, I referred to someone as "the tiniest thing", but there are many things tinier. It is interesting that the New International version translates the phrase as, "the smallest of all your seeds" which would apply to the context of his audience. The phrase has also been translated as "the least of all the seeds". While I have discussed the context, purpose, and figure of speech aspects, the article featured below adds some science aspects for our consideration. In the parable of the mustard seed, Jesus calls it the smallest seed. But was it really? Both evolutionists and old-earth creationists latch onto this parable, evolutionists to discredit the Bible entirely, and old-earth creationists to prove that the Bible does not have to be taken literally. Both approaches attempt to undermine the authority of God’s Word and challenge the foundation upon which the Christian faith is based. To read the rest, click on "Are Mustard Seeds the Smallest or Was Jesus Wrong?"